National Geographic Special: Bones of Turkana premiered May 2012. Richard Leakey, his family and colleagues work to unearth clues to man's origins. The astonishing life of Richard Leakey — paleoanthropologist, conservationist, statesman, provocateur &mdash;will be the subject of an hour-long special from National Geographic, Bones of Turkana. The program investigates four decades of exploration and discovery around Northern Kenya's Lake Turkana, which have given rise to both breakthroughs and controversy in the contentious field of human evolution. Meave Leakey supervising the excavation of an ancient buffalo. 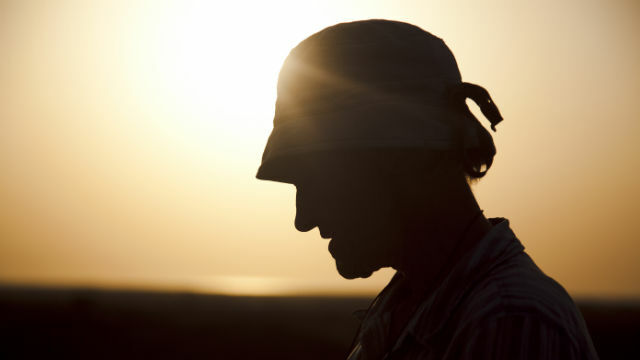 At Lake Turkana, most field work is done in the morning and evening to avoid the extreme daytime heat. The film follows Leakey today — along with his wife, Meave, daughter Louise and the world-famous fossil hunters of the Turkana Basin Institute team — striving and exploring along the shores of a mercurial and prophetic lake. It is both a portrait of a remarkable family, as well as a dramatic tale of a place that, despite momentous climate change, has never ceased being the cauldron of human evolution. From Australopithecus anamensis to Homo sapiens, Leakey and his team traverse four million years of hominid history in search of the precise characteristics that make humans unique. They find the evidence, one by one, in the fossilized bones, stone tools and sandy soils of this haunting region. In-depth, candid interviews with Leakey reveal a man who has struggled in search of truth, faced formidable challenges from the political as well as academic realms, but ultimately prevailed in establishing a lasting legacy of paleo-exploration in one of the world's harshest and most beautiful places. Leakey believes Turkana holds many secrets he is hoping to expose to the world: revelations about our past and prophesies about our future. Aiding him in his quest are scientists from around the world who have also chosen to focus their efforts on Turkana Basin. French archaeologist Hélène Roche, geochemist Thure Cerling and anthropologists Marta Lahr and Rob Foley come each year with their teams to hunt for bones and stones around Turkana. Their mission is to find evidence of the transformation of hominids that lived here, between four million and 75,000 years ago. These were tumultuous times for our species, when the most startling cognitive leaps forward were made. Bones of Turkana was produced by National Geographic Television and John Heminway. For more information about excavations in Kenya and the continuation of Richard Leakey’s work, go to www.turkanabasin.org. Educators can find a collection of short activities and selected videos from Bones of Turkana for classroom use at natgeoed.org/turkana. Support for the program is provided by David H. Koch, the William H. Donner Foundation, the Donner Canadian Foundation and the Charles Engelhard Foundation.